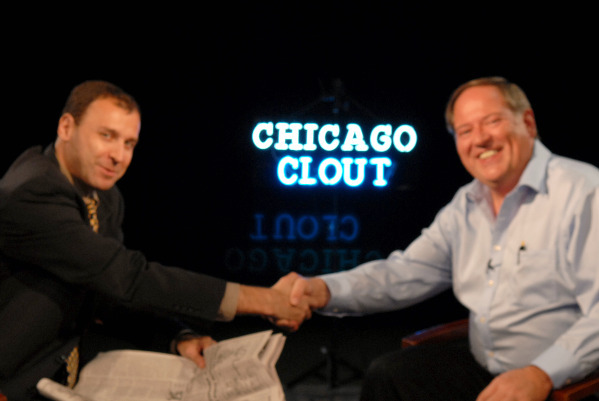 Chicago Clout is inviting Ms. Lewinsky on an all expense paid trip to Chicago this January to help "get it out" for Rahm Emanuel. We will update you soon. 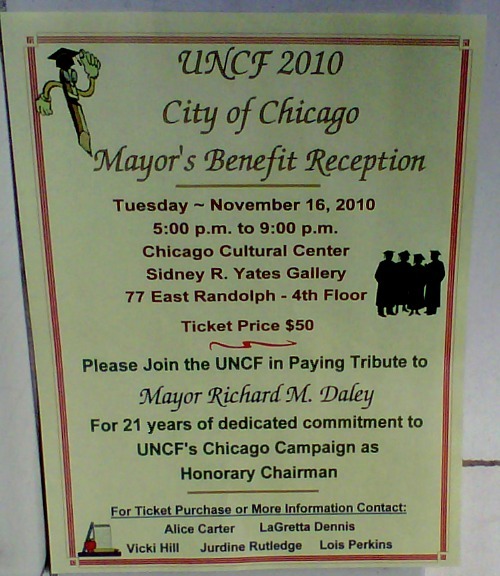 Mayor Daley made another bad deal for Chicago taxpayers. Factories gone, Walmart in. Another losing day for Chicago unions. Walmart brought the buses right onto the north side of Chicago City Hall. They loaded and rested between the James Thompson Building and the Daley City Hall. Mayor Daley rolled out the carpet after the Walmart meeting the FBI missed and the deal was cut. I saw Dennis Gannon today after the deal was agreed and for the second time in a while, Dennis looked very drawn. Daley had his armed goons parked on LaSalle and the deal was done. I have been very tough on Dennis Gannon for quite some time, but I can understand when the battle takes its toll. I admit I have been very tough on Chicago labor, but they have folded and left their worker’s cupboards bare. I also saw Robert Ryan, today and again he was friendly. 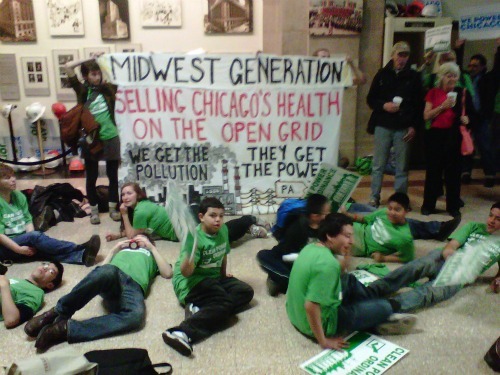 Robert Ryan at Chicago City Hall today spells a sellout for workers every time. Chicago labor knew for quite some time they should have retired and let the new warriors take rein. Their greed is the downfall of every working man in Chicago. 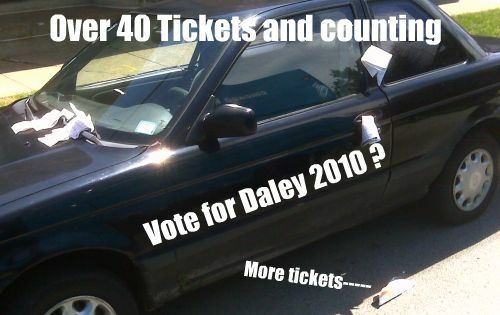 It always was about them and I know Daley will get large concessions on upcoming labor contracts. “A million dollars is a lot of work” Dennis Gannon told me today. I was going to remind him the meter deal was a lot of money also. 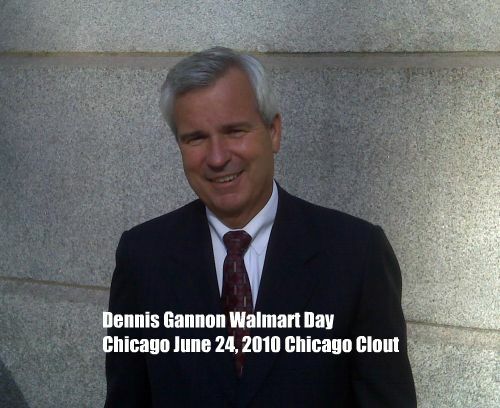 Dennis has done much for Chicago Labor, but he should have left when the getting was good. The old fools are going down with the ship. As much as I hate to admit, Daley won, China won, Chicago taxpayers lost, Union labor lost. Walmart will feast on the taxpayer money with link cards and the unemployment level will increase. 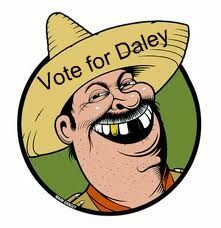 With Daley it is about power, not making good deals. Photo by Patrick McDonough.